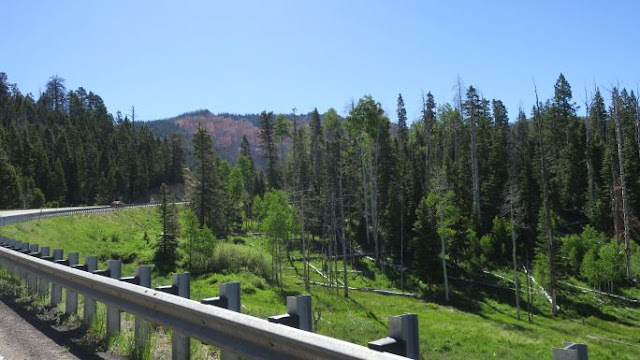 The drive up Highway 14 from Cedar City is in stark contrast to the desert terrain you will find on Interstate 15 from St. George to Cedar City. This is a beautiful highway filled with observation points that encourage you to stop and enjoy the surrounding beauty. When we arrived we were most surprised by the lack of crowds. The trails we hiked at Zion & Bryce had fellow travelers everywhere! At Cedar Breaks National Monument we were alone during our hikes. The weather was fantastic the day of our visit in early June. A pleasant 65 degrees and blue skies made for a great day of hiking. 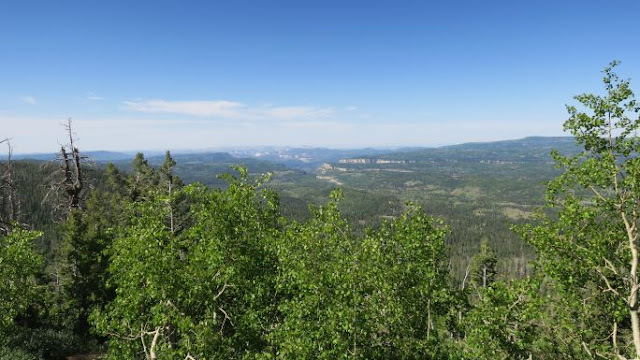 We hiked to Spectra Point pictured above. 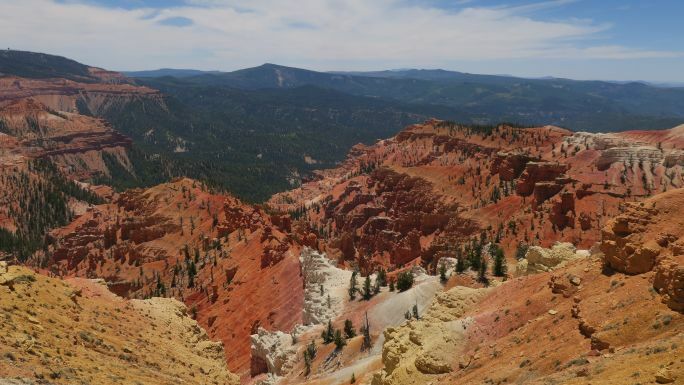 The hoodoos at Cedar Breaks are every bit as beautiful as Bryce Canyon National Park but without the crowds. 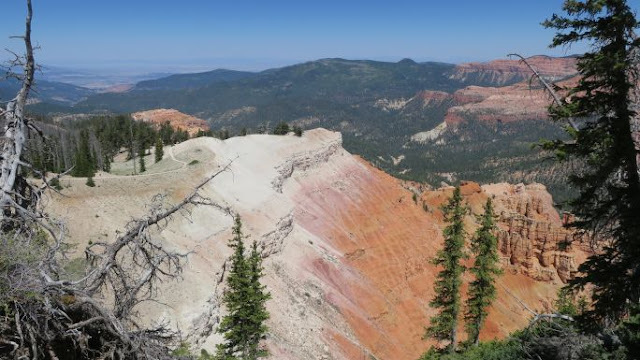 One thing I noticed were the exposed cliff edges at Cedar Breaks National Monument. 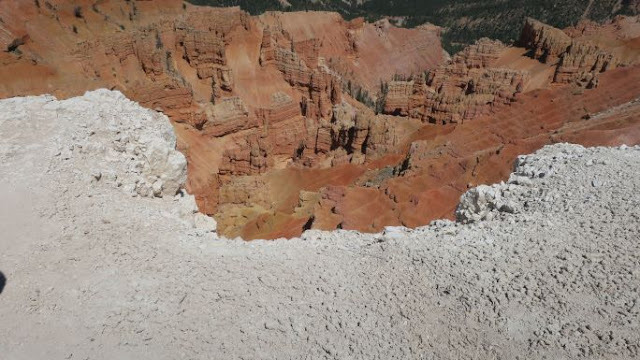 If you are travelling with children, please use extreme caution as you hike. 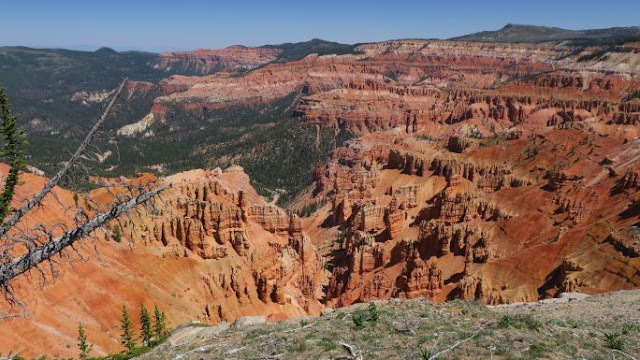 PLEASE WATCH YOUR CHILDREN Cedar Breaks National Monument has several spots with exposed cliff edges. After hiking to Spectra Point we headed over to the Alpine Pond Trail for the 2 mile double loop hike through alpine meadows. I guess we had too high of expectations for this hike. 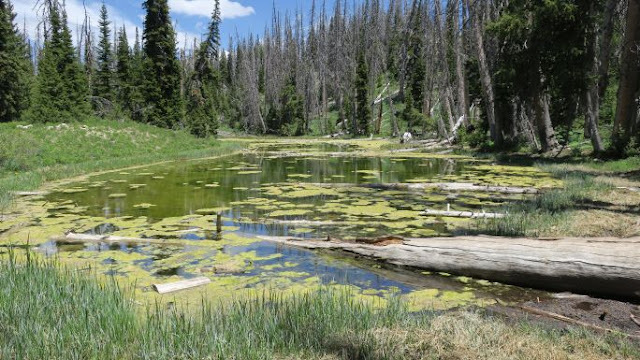 When the park ranger told us about the hike we visualized a real alpine lake with crystal clear water. Instead we found the "alpine lake" pictured below. To make matters worse the trail away from the "alpine lake" is very steep with switchbacks. To say we were disappointed is an understatement. 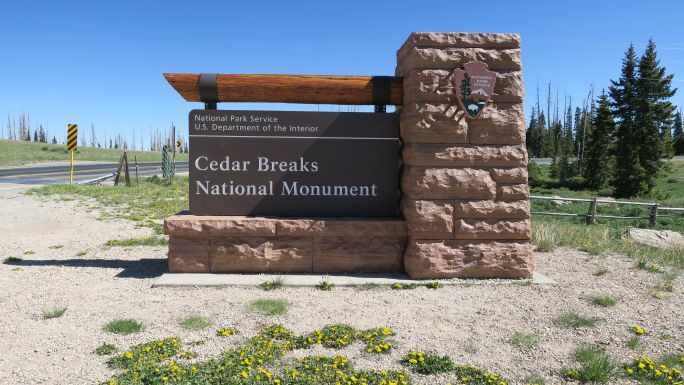 There is no lodging or restaurant within Cedar Breaks National Monument. For lunch we took a picnic lunch and enjoyed the beautiful weather and views. Our hotel was in St. George, Utah about an hour and fifteen minutes from Cedar Breaks. To learn more about our hotel stay in St. George click here. Entrance fees for Cedar Breaks National Monument is $7 per person aged 16+. Children under age 16 are free. We had the America the Beautiful national parks pass therefore we did not pay an entrance fee. To learn more about the entrance fees click here. Thank you for reading my blog. Subscribe so you don't miss a single post in the future. 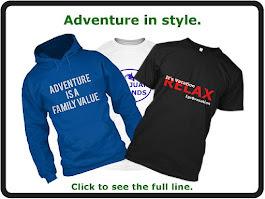 I hope I have been able to help you plan your next gr8vacation! Wherever the roads may lead you, may God bless you each mile of your journey.